Nice Surprise indeed Hi Julie !,, ahh hh that iceberg let's swim around the iceberg . It's a cool summer - now you're here! good evening Julie, sure is great to hear from you once again! hello dark souls. or those just in a little bit of shade. Hey folks! It finally got dark, yay! Hey Julie. Nice visuals. So cool. 9:00 is dark enough for summertime! Actually it's been dark and heavy all afternoon around here, storms breezing through. Man, I want thunderstorms. Like the ones we had around NYC/NJ a few weeks back. Holy crap were those great! I think the ice caps will melting in this heat, right Julie? hello Julie! so lovely to hear you here tonight! @Jake: DC area has had its share this summer - lotsa good lightning bolts and cracks too! Today and especially at the beginning of July. Welcome Home Julie! Great sounds. Morning from London, it's 02:12 and listening to great music. Great start! The opening set has a lush psych, or paisley feel to it. I was getting into The Three O'Clock not long ago..
And the one before that was the two-fer show, Autodrone and Be Forest. Yes she was, and that was the radio/online debut of her new sound she didn't even have a new single out yet. People of the future will see the picture and go "What's that?" Hi, Julie. Hi, souls. @Julie: You hosted so many "world premieres" of sound, there's just no radio forum like yours! @Ken HP: I find smiles in that 3-4 secs of confusion when somebody looks at an image like that and tries to place it in context. Azar Swan! Always great covers from her. "Judge Jake Gould: Weekdays at 4:30, on FOX5..."
Julie, you know I always look forward to your fill-in shows, they're one of the best shows! WOOOOOO! More Julie fill-ins and BAND-AGE! I do so love Adam and his merry band of Ants. Oh man me too Fox! Wonder what Van in DC thinks about this fill in? Van's a huge Julie fan, if he isn't here tonight he should be listening tomorrow or so. I've seen the future. Enjoy what you have. Ooooh, nice Airplane flying in! Haven't heard this one before. Robyn! You're ALWAYS a mystic trip! well Julie, I have to go for now, thanks for your company! i'll be listening to the radio, night Julie! ohh Julie, I hope i'm invited back next week. Lovely Leonard Cohen cover song. I think Marissa was on Irene's and Trouble's show during the 2000s. I met her in person last year! Such a soft-spoken lovely artist! @Julie: You and Mary Wing have great taste in cover songs. Bravo! hiya Ike & dead ram head? Is that an offering? "Nice" early Floyd. Welcome back Julie! I think it's Ike's latest band! Do you sing Wings "Head of a Dead Ram On"? @Julie: Ike carries the ram head when trolls appear. This one goes out to Kurt Gottschalk! Try the Steve and Edie version. You'll like it. Even Clay would like it. It may be the best remake ever. On "Lounge-A-Palooza"
Migraines and sheep, the tough life of rural Wales. Is that IAN CURTIS I SEE? Shhhhhh.... not many people know I'm alive and well and living in Brooklyn. Stroszek sandwich, side of kale chips. Songe super digs your bed music. And it is in Williamsburg! Hey Danne! Thanks for saying hi! @Jeezy: Welp, looks like that bar will be “closed for renovations” and then open up as some other kind of place, right? Songe is my awesome fella! He really digs your bed music! Yes Jake... We are in discussions! I was just about the coffee shop but now we shall see... It's complicated, Julie. They got him because food was not present but basically the place was just too out of control. A classic of "kickin' out the harpsichord jams"! I highly rec this album, The Legendary Demos. @Jeezy: From what I have seen about food and beverage licensing and such in NYC the sad reality is if they bust you like that once, it is a massive uphill battle to come back and I know few places who have had their liquor licenses revoked that were able to bounce back. The reality of small business life in NYC. Unless you know some millionaire with some money to toss around? Hi ,Julie great to see you back on the air, love your show and just wanted to say thanks for getting me into the Cocteau Twins and Kate Bush...... I've been missing out. Hey! It's "Uurmohns Zermeets", à français! @Jeezy: I have no fears or cares. But best of luck dealing with it all! @RRN63: Forever us Dark Knights will ride on, waiting until Julie returns to reemerge as the Upside-Down Bats! @Jeezy: Workarounds are the best! I wish you luck as well! Also a big Tamaryn fan, flew out to San Francisco and L.A to see the last shows with Rex, I can't wait for the new album. Haha... I envy you, Jake! Though I am meditating... Anyhow, thanks guys! Nice Jeepster bed music, lady! Hi late night Sean! Your listening time is Julie's normal show time! it's a great fill-in show Julie, and got to LOVE zappa! all I can say is thanks Julie! I don't remember who on the comment boards first said it, but I agree with the statement that there are 5 or so good Zappa albums (which ones are your 5, may vary). I dig "We're Only In It For The Money" and "Live at Fillmore East". I like Zappa's Zoot Allures (Black Napkins). Great show Julie! Sounding terrific. Hey Clay! Rockin' show here! Freak Out is like the Zappa you always go back too pretty much ( like ie.. Floyd * PiPer at the Gates of Dawn* ) and at the time it came out again was like *WoW* . goodnight Julie, see you next week! Dreeeeeeamy Skinner Box! REALLY digging this! I hear an autoharp. Man, Peggy Lee could have sang the heck out of this Red and White Roses. The bats are upside down. The belfry is ready for occupancy. Ah, time. Never enough of it. 3 hours is more Julie than I hoped for, but not nearly as much as I want! In the old time slot, Meghan would usually pop in at about this point. hi Julie, i actually never got to hear your show when you did overnights... but i've been listening tonight and i dig it! Ken I was just missing Meghan's wake up call. Thanks so much Steve! heya Matt. 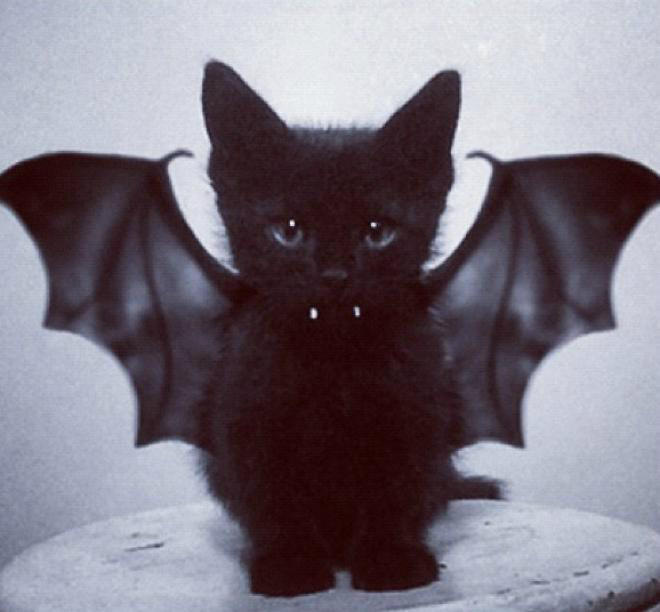 flying batcats... if only. Julie, I really enjoy the goth tunes you play. Tempers sounds like an amazing band to have on! Great show Julie! Honestly, I was never awake enough past the first hour of the weeknight overnight show—not just you, but most anyone’s—to remember much. So this is like a great primer! thanks for one hell of a show, Julie! thanks Jake! I'll be back next week! Almost at the end...another great episode of DNotS this was! Thanks Julie! Have a good night (and a good Wednesday), everybody! Until next week, then. Stay out of hot water! 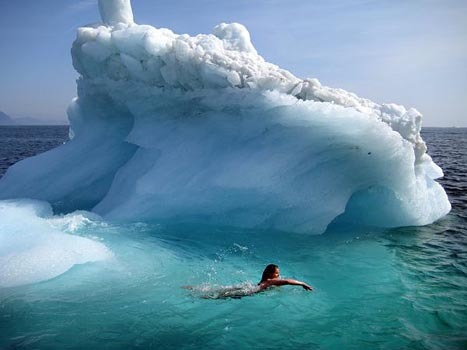 @Ken HP: Will take a swim out by the local iceberg then! Zowie! Sue P. is up next. I should be sleeping now! Ohai. Yep, you guys were wondering what I think? to catch Julie's latest show. #SeeWhatIDidThere ? Wow, Renaissance! Thanks Julie for playing them. Haven't heard them in quite some time. Saw Steeleye Span a few days ago live here. Wow, and Marissa! Loving this set! Wow, The Lovely Intangibles - love their sound. Very, uh, Cocteau Twins-ish, kind of hues of Liz Fraser...and the ethereal feel of the song. Lovely. Wow, that Wilson Picket version of Hey Jude is... brilliant. That Tempers was pretty awesome. Looking forward to hearing more of them tomorrow!